embraces the family and engages with nature. DISCOVER WHAT WE HAVE TO OFFER...IT'S MORE THAN YOU THINK! Conquest Centre now offers BHS Stage 1 training. 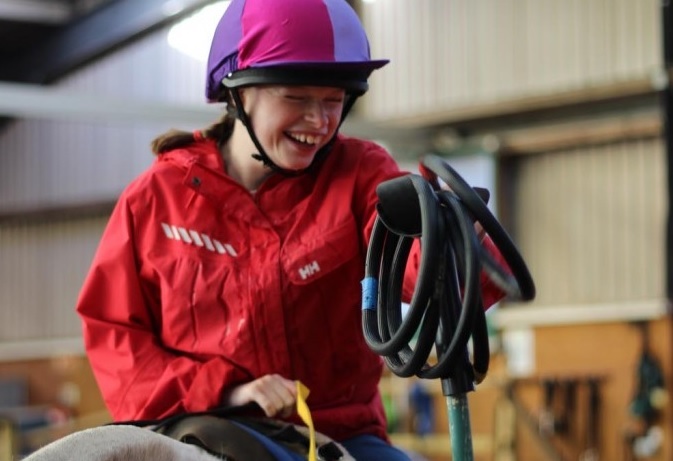 We offer tuition, practical experience and exams on-site for people aged 14 upwards. 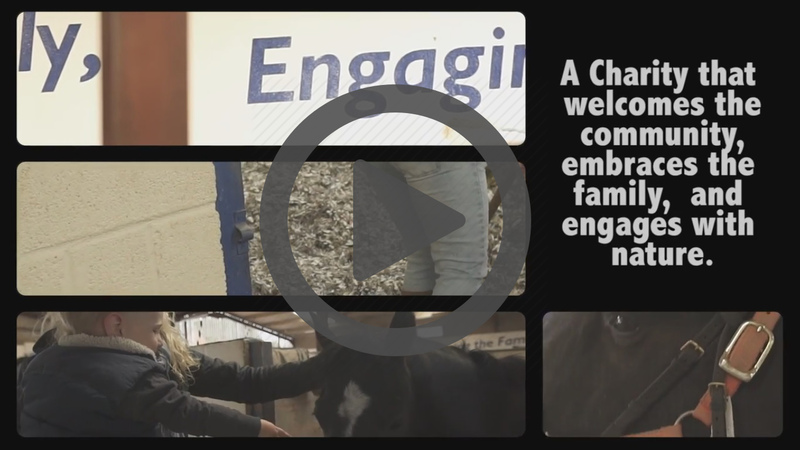 We all know that a picture conveys a thousand words, and now thanks to our wonderful sponsors at Beehive Self Storage, we have a lovely new video to show you the services on offer at Conquest Centre. It is only three minutes long, so check it out by clicking the picture opposite. Thank you once again to Beehive Self Storage. 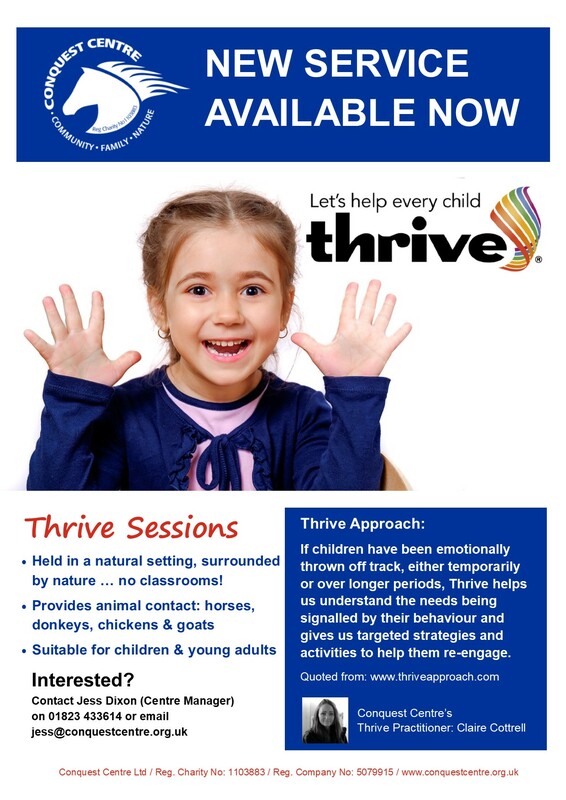 Now offering Thrive sessions onsite with a certified practitioner. Come On In, Snoop Around! If you would like to have a look around our site, check out our virtual tour. See how many animals you can spot! 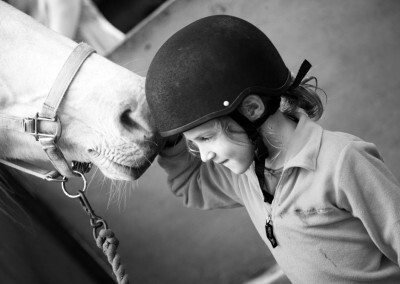 To create an inclusive equine environment that will allow people to achieve their personal goals. 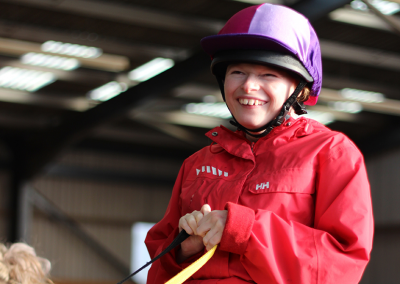 For all disabled people in our community to have the chance to participate in equine activities. 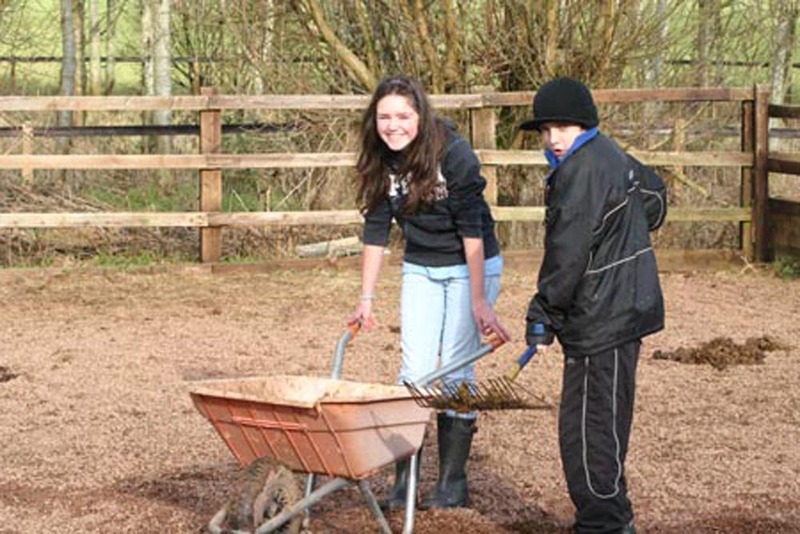 Conquest Centre is situated in the heart of the Somerset countryside. 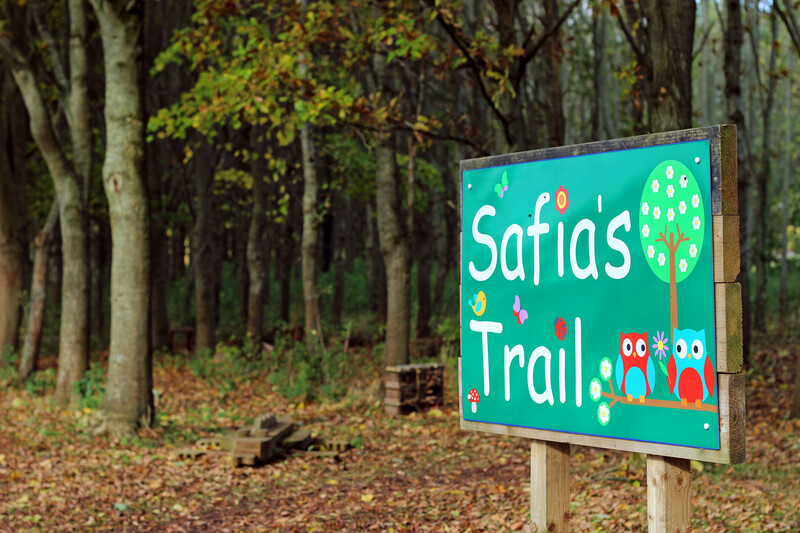 Overlooked by the Quantock hills and surrounded by the magic of nature, this is an environment where all are equal, no judgements are made and space is given for the possibility to flourish. 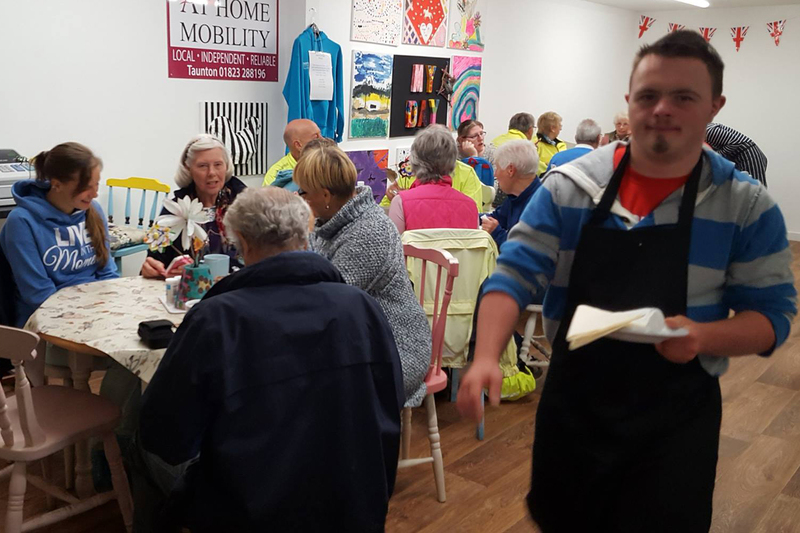 Here we work to respond to the needs of people with disabilities and other additional needs, welcome the community, embrace the family and engage with nature. 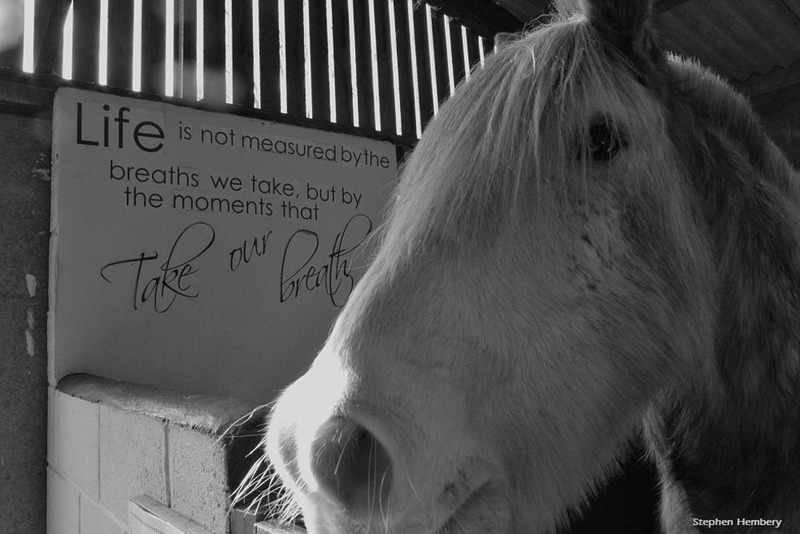 We are a leading Somerset charity which has been dedicated to delivering activities with horses since 1965, and these incredible animals remain at the core of all the work we do. 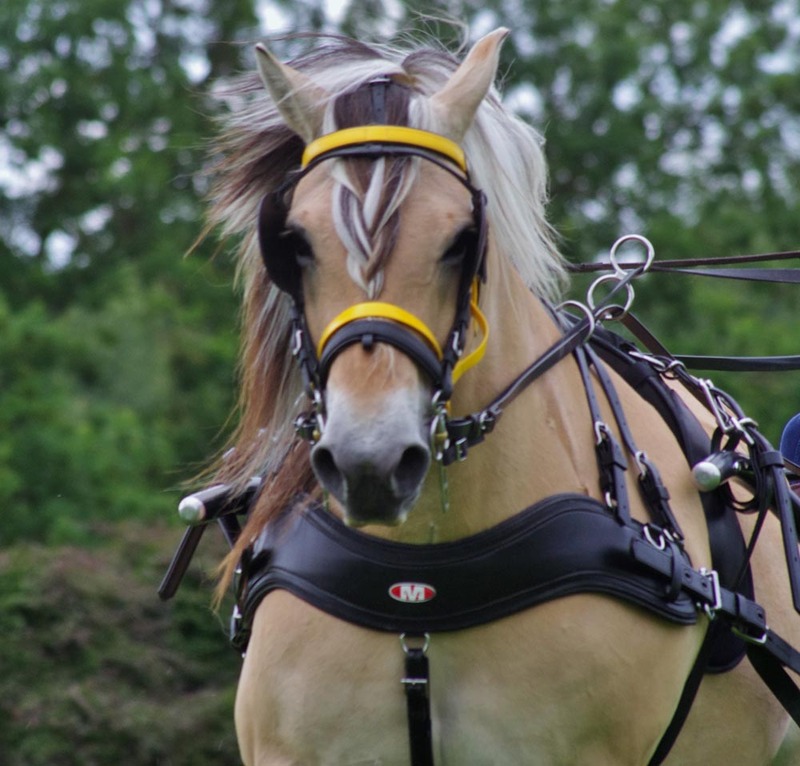 The horse, being free from the complexities of human nature, is the most honest, challenging and compassionate facilitator there is, and truly brings a touch of magic to any encounter. 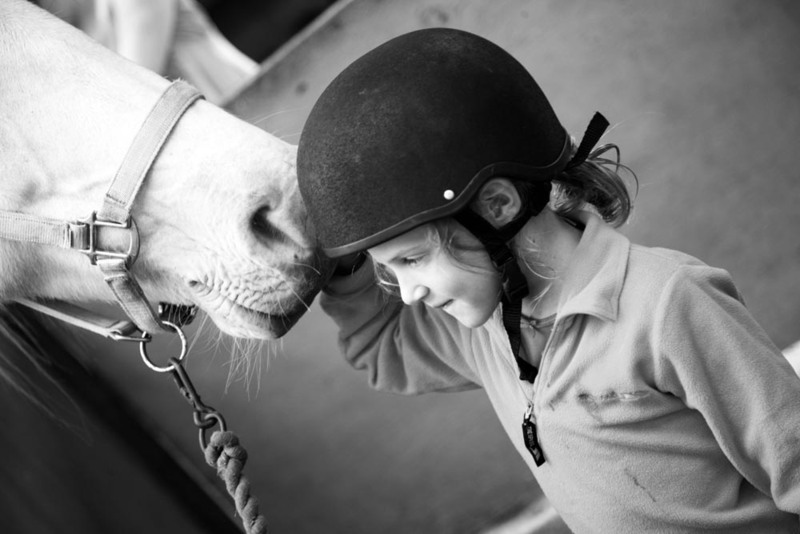 Interacting with horses can massively improve health and well-being, be hugely empowering, and quite literally change people’s lives! 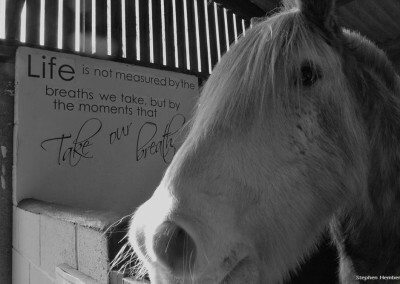 Find out more to see if horses could become part of your story. 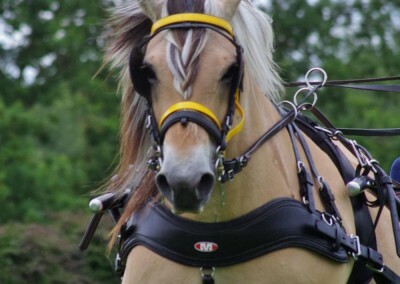 It’s not just about riding…as you will see in the following pages Conquest Centre has so much else on offer as well!